It’s been said that if a person is a “good” salesperson, they can sell anything, to anybody, ONCE. However, the success of any business today is not based on the sale, but on the service. True customer service is about making sure the needs of the customer are met-during and after the sale. Success is achieved by building a high quality relationship with the customer—one that causes each customer to want to return to your business, time and time again. 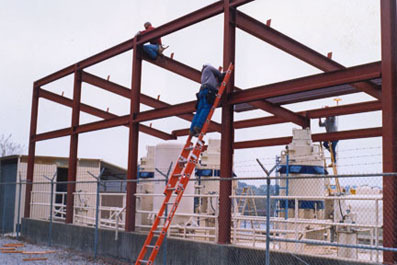 With this concept in mind, the services provided by Steel Truss & Supply are based on customer satisfaction. Our service will be judged on what we do, more than on what we say. We believe that quality service begins with listening—listening to our customer carefully so we can develop a true understanding of how to bring success to the project. Additionally, a vital step in the process is careful analyzation. Proper study of the project details will allow for an effective approach. Once the study is accomplished, idea presentation can take place. Combining the latest technological methods with sufficient creativity results in having more than one production approach. Our clients appreciate having options. Then the decision is not forced, but calculated and based on several ideas. We are the local Alpine-TrusSteel truss designers/manufacturers for Redding and surrounding areas. 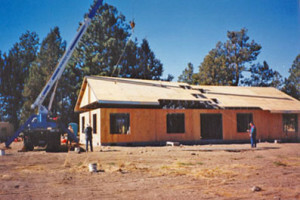 Our pre-fabricated walls are composed of high quality light gauge steel.